Did you know that the human brain processes images 60,000 times faster than verbal messages? With that in mind, it’s no surprise that over 90% of the information we process is visual. That’s why the use of infographics can really help you maximise the effectiveness of your marketing campaigns, as they allow your audience to understand complex messages quickly. Below we’ve selected 5 different ways that have helped our clients communicate with audiences through the power of infographics. The Shipowners’ Club know that they owe much of their 160 years in business to the loyalty of their customers. So to help them celebrate this historic milestone and share their story on their website with their audience – and make it stick in their minds – we designed an interactive infographic that allowed customers to navigate through key achievements in our client’s history. The interactive nature of the timeline design adds a sense of fun, movement and journey customisation. The dynamic feature is broken down into easy to digest sections, with historic achievements highlighted by images from the Shipowners’ archive. We also incorporated graphic devices inspired by nautical elements to help the viewer plot their journey. By presenting the company’s 160-year history through innovative design, we helped Shipowners’ reinforce the idea that they’re focused on innovation and are excited about the future. Go over to our case study to find out more. A great way to engage your audience is by playing with their expectations, and inviting them to interact with you and your product, especially when you’re promoting a complex offer. This piece reimagines traditional Financial Services direct marketing formats and creates a visually engaging infographic design that audiences can interact with, and will hold on to. Instead of producing a direct mail piece that could be easily discarded and forgotten about, we designed a beautiful, tactile and durable piece that encouraged the audience to ‘play’ with it again and again and treat it as useful reference material, reinforcing the idea of Thomson Reuters as a solutions provider. 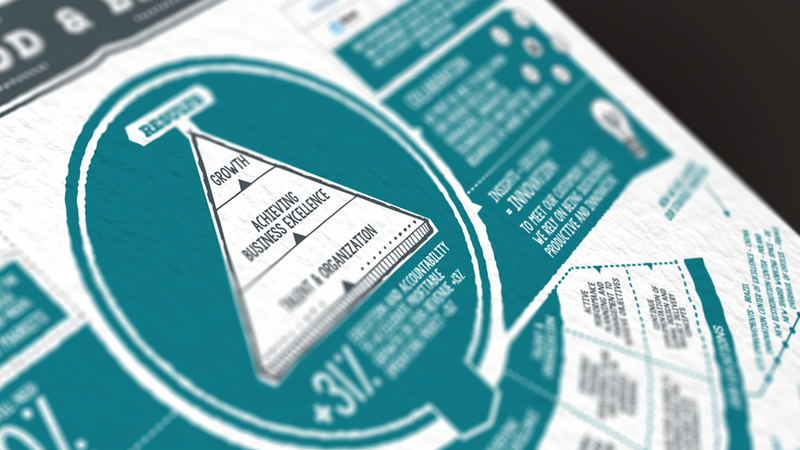 Key product features and helpful tips are communicated through impactful infographics. The double-sided concertina format, clever fold-out mechanism and 3D elements add to the playfulness of the piece. Find out more from our case study. Visually engaging infographics can you help you cut through the noise in a busy environment, such as an airport. When you know your customers’ dwell time is limited, and that they’re surrounded by potential distractions, you have to ensure their experience is as memorable as possible. 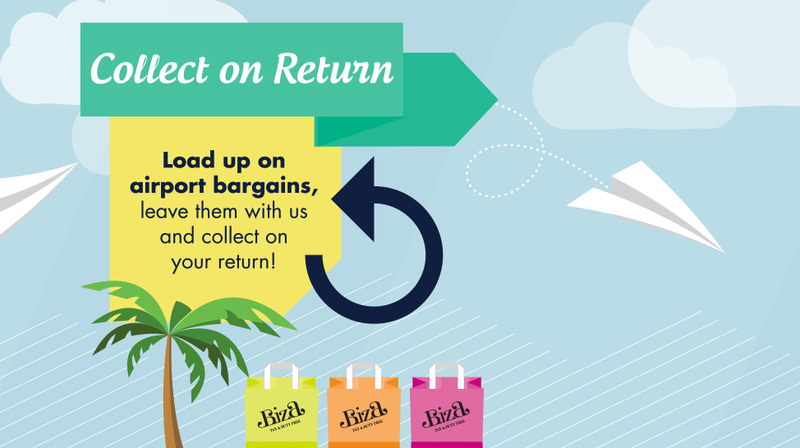 The retail infographics we designed for one of the busiest terminals at Manchester Airport serve a dual purpose: they improve the passenger experience by guiding them towards the departure lounge and they also promote the wide range of facilities and services available. The striking and colourful infographic designs stand out in areas with some of the busiest traffic within the terminal. The lighthearted illustration style and playful script font are the perfect base to introduce the benefits passengers can take advantage of. The size and scale of the graphics help capture the passengers’ imagination, and engaging content and design are vital in communicating that holiday fun really can start even before take-off. Find out more here. If you need to communicate your services and expertise to internal and external audiences, at home and abroad, infographic design is one of the most effective ways to achieve your goal quickly. DAI, market leaders in business critical software systems in Supply Chain and Logistics, asked us to produce a brochure design that would make an impact on their wide range of blue chip clients and their hundreds of employees across the UK and Europe. Our design team created impactful infographics to tell an engaging story, always taking account of the varied audiences they target. We developed the main design element – a hexagonal shape – into a pattern that signifies the idea of structured teamwork in manufacturing, and helps thread the story. A variety of graphic devices, illustrations, different font colours and styles help categorise information. Our case study has more information on this project. Infographics also prove their effectiveness when trying to communicate to a diverse global audience. Our client, with operations in over 35 countries, had gone through a period of strategic growth, acquisitions and reorganisation of key markets. These major changes drove them to address their employee communications to guarantee the organisation felt and worked as one. The design presents the new strategic direction in an interesting and dynamic way, ensuring understanding across all global locations. The infographic, and its translations into 9 languages, has a fun structure and visual style including the informal and fresh feel of the illustrations, and script-like font. The friendly and approachable look and feel plays on the idea of familiarity, helping reinforce the concept of a global company with local knowledge, working as one. Our case study has more information.